Get a FREE roof Inspection & Estimate! We're proud to offer non pro-rated labor & material commercial roofing warranties up to 20 years! Request a FREE roof Inspection & Estimate! Conklin Roofing Systems installed on Billions of square feet over the past 40 years - for these great brands and many more! Why choose MBM Roofing over the other guys? MBM Roofing and Joseph Byler (proprietor) have a solid reputation for great customer service and an unmatched experience. Joseph has years of experience serving northeastern Ohio communities and helping them with their roofing needs. We're northeast Ohio locals and treat our customers like neighbors and family! Our dedication to quality work has made for very happy clients throughout the years. We warranty your roof with a best-in-class non pro-rated leak-free Guarantee for up to 20 years. CALL NOW 440-636-3241 to learn more! 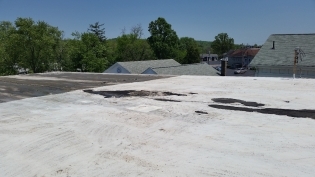 "Last fall we put on our 13th Conklin roof since 1983 – and all are without a leak. This is a multi-million dollar development; some of the condominiums sell for over $300,000. We can't afford leaks. I would recommend this system to anyone with a flat roof that doesn't want to be bothered with leaks." "I'm in charge of roof maintenance for several dozen buildings at a large aluminum reduction plant on the East Coast. 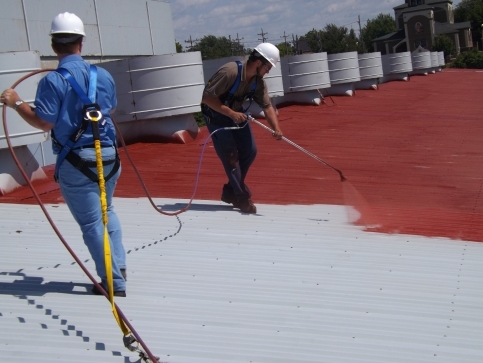 We are constantly testing different roof coatings to protect and seal our galvanized metal roofs. 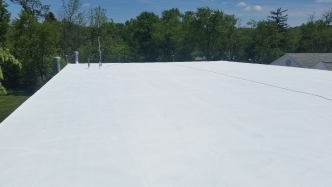 We ran a test last year, coating half of a 200,000 square foot roof with a Conklin Metal Roof Restoration System. The other half got new corrugated sheet metal, sealed with a white silicone coating. One year later, the silicone roof has developed six leaks while the Conklin roof is doing just fine. 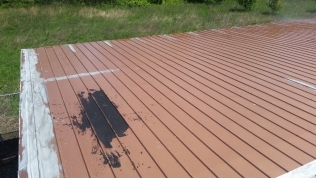 We can tell that the Conklin coating is going to last a long time." 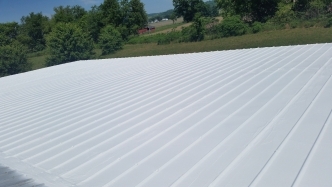 "I started MBM Roofing with a simple goal in mind – provide only the best commercial roofing services to the northeastern Ohio region. That means using only the highest-quality materials, providing the best customer service and ensuring the job is done right every time. When you choose MBM Roofing as your local commercial roofer, I'll personally guarantee your 100% satisfaction and oversee the job myself.